Headgear, STANDARD (MEDIUM) - SHIPS FREE! Headgear, SMALL - SHIPS FREE! Headgear, LARGE - SHIPS FREE! 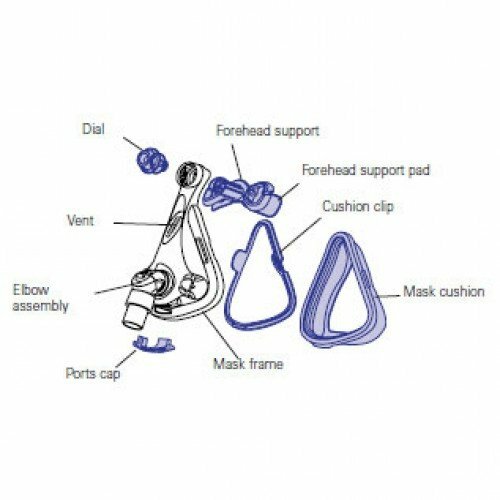 Frame System with xSMALL Cushion (no headgear) - SHIPS FREE! Frame System with SMALL Cushion (no headgear) - SHIPS FREE! Frame System with MEDIUM Cushion (no headgear) - SHIPS FREE! Frame System with LARGE Cushion (no headgear) - SHIPS FREE! Frame, LARGE (no cushion, no headgear) - SHIPS FREE! Cushion xSMALL with Clip - SHIPS FREE! Cushion SMALL with Clip - SHIPS FREE! Cushion MEDIUM with Clip - SHIPS FREE! Cushion LARGE with Clip - SHIPS FREE! 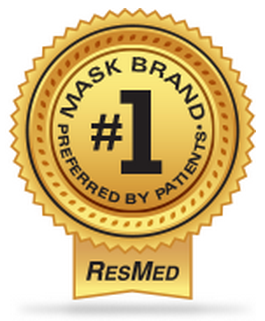 Replacement parts for ResMed CPAP Full Face Masks, including Mirage Quattro Accessories like mask cushions, mask frames, and Full Face mask frame systems. Mirage Quattro Replacement Parts include frame assemblies and mask cushions. 61260, 61261, 61262, 61263, 61264, 61265, 61266, 61267, 61270, 61271, 61272. 61273, 61290, 61291, 61292, 61293.
the replacement part did not fit the mask it was designed for. 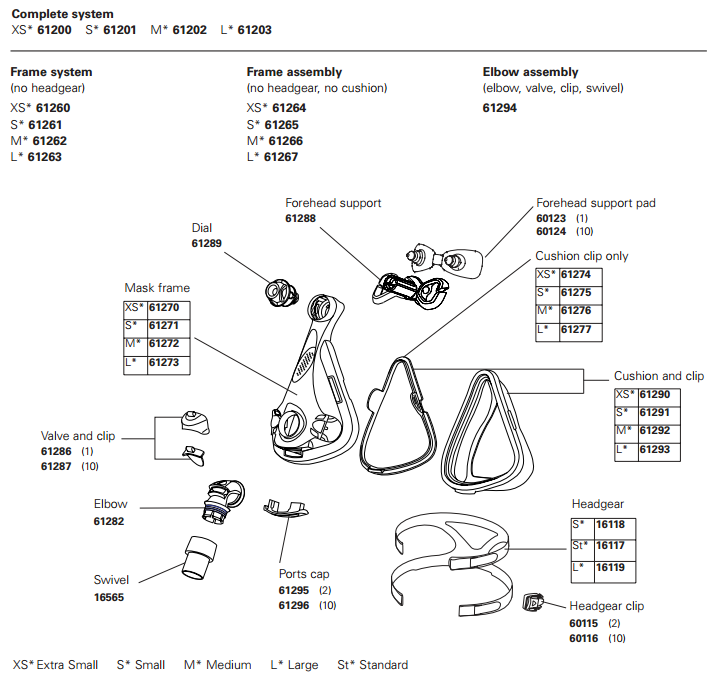 Site shows replacement parts kit for Quatro mask, everything but the cushion, which is what was needed. Return policy is tiresome. Poor customer care. 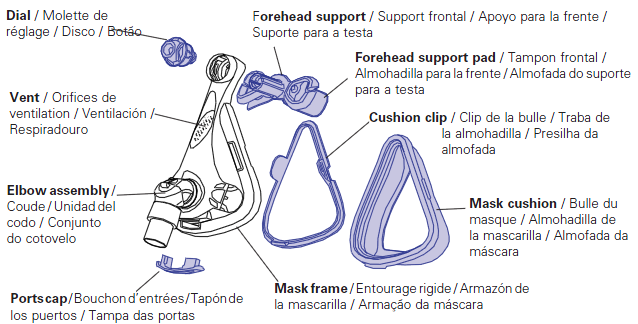 Ordered ResMed Mirage Headgear 9/14. Was advised of no stock on 9/23 and on back-order 2 more weeks. One month for something that was supposedly 'in stock' when ordered. Very unhappy with Vitality Medical.